The best way to explore the city is with a private local guide. 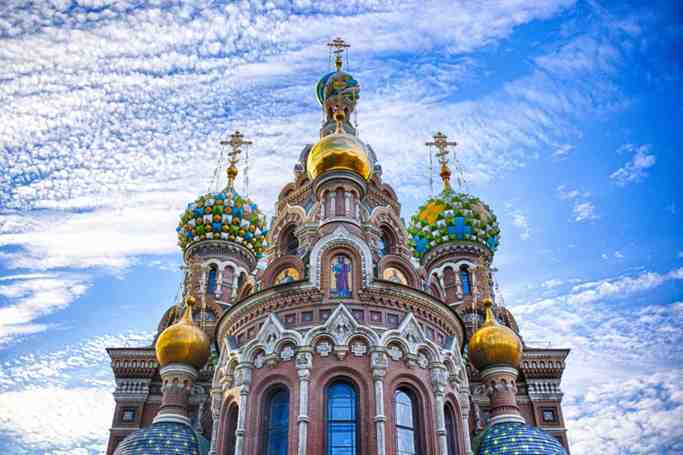 See more of St Petersburg on this private tour than you could on any group tour. Learn of St. Petersburg’s history and see sides to the city many visitors miss on this 2-hour or 3-hour walking tour. Follow your expert guide though the streets of St. Petersburg and gain insight into the events which shaped the city we see today. Learn of Russia’s Orthodox religion at the 19th-century Kazan Cathedral, and take in top city attractions such as Gostiny Dvor, St. Isaac’s Cathedral, Palace Square, and the 18th-century Stroganov Palace. 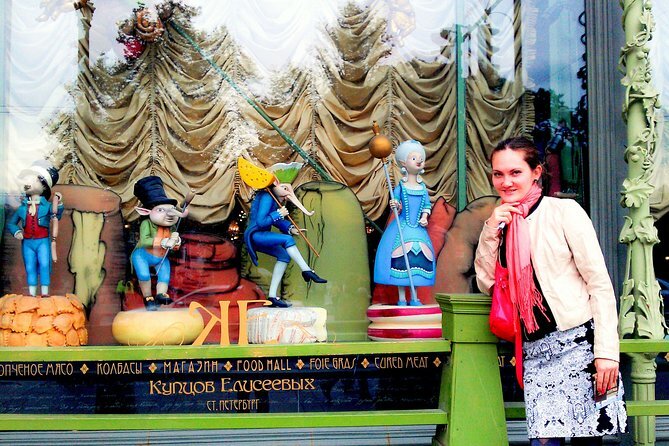 Drop in Eliseev Emporium for chocolate souvenirs and the best local bookstore in town for more cute gifts and ideas. Finish your tour at a coffee bar, a lunch place or get back to your hotel (depending on the location of the hotel). This tour can be customized to make it a unique experience for you. Your private local guide will meet you in the hotel lobby at about 10am and discuss the tour itinerary with you at the beginning of the tour. 10.00am Meet your guide at your centrally located hotel in St Petersburg, then head into the city on foot to begin your tour. As you explore, listen as your guide sheds light on the city’s history. Soak up the hustle and bustle of the Nevsky Prospect — one of the city’s main thoroughfares — and gain insight into Russian Orthodox beliefs. 10.30am Admire the 19th-century Kazan Cathedral, widely considered among St. Petersburg’s top attractions. 11.00am During your tour, take in key sites of interest including 18th-century Anichkov Palace. Check out the Eliseev Emporium for sweet treats and head to Gostiny Dvor. Enjoy the views of St. Isaac’s Cathedral, Palace Square, and Stroganov Palace. From the outside, admire fine views over the Russian Museum, the State Hermitage Museum, and Winter Palace. Hear the intriguing stories from your private local guide. Take in the breathtaking panorama. This is a very short fast-paced tour, so you will enjoy the views form outside only. 12.00pm Finish your tour near one of the historic bridges of St Petersburg and go to a local coffee shop to sample some of the coffee or delicious chocolate desserts on offer (own expense). Afterward, return on foot to your hotel to conclude your tour. 12.00-1.00pm If you opt for a 3-hour tour - cover more of scenic canals, bridges, parks and gardens. Drop into a local bookstore so loved by locals and check out the gourmet Eliseev Emporium for chocolate souvenirs and delicious hot cocoa. Finish your tour at Dachniki cafe - a thematic Soviet place with cozy interiors and authentic Russian cuisine.